I love Easter baskets but I don’t like spending a lot of money on them. I have wanted to try fabric stiffener for a while and this is the perfect project for that. I was shopping at Target in their $1 section and saw all the bonnets. They are so cute but my girls will not wear them. I tipped it up and thought what a great basket. They had the $1 headbands right next to the bonnets and they are the perfect handle. I’m sure the dollar store has bonnets as well. Here’s a little tip, if you think you may do a tea party for a birthday this is the time to buy the bonnets. I didn’t do this and you can’t find them after Easter, at least not for $1. To start I got plastic containers, these are actually the large cottage cheese containers. I wanted the bottom of the basket to be flat so I put a heavy glass in the bowl to keep it down. I wasn’t sure how to keep the sides up while using the fabric stiffener. I tried string and that didn’t work so I got some hair clips to keep the sides where I wanted them. I also used bobby pins. 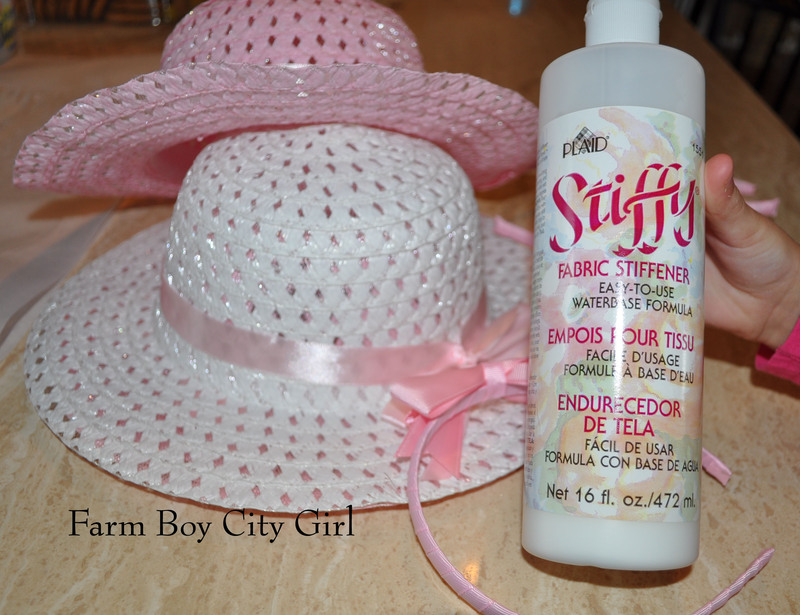 Take the fabric stiffener and saturate the hat. I used a paint brush. 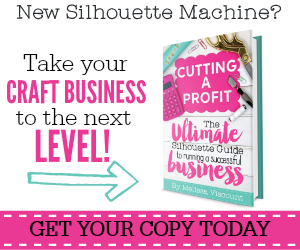 If you don’t have the store version of fabric stiffener you can make a homemade version. It’s basically just white glue and water but I did find this recipe (I have not used it). 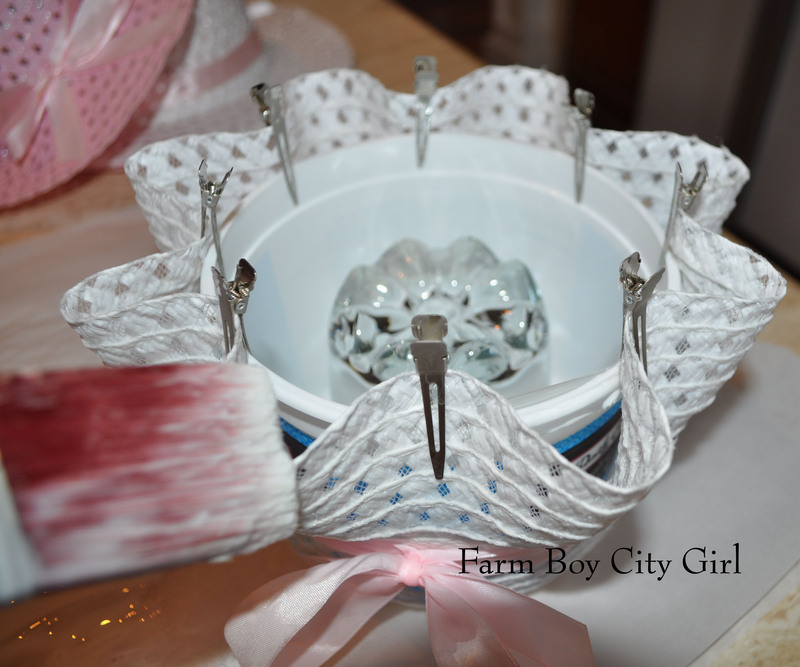 I waited until the basket was dry and glued on the headband, clipping it in place until dry. Make sure your headbands are the metal kind so you can bend them slightly. Also make sure your container will come out after the head band is glued. If it can’t, wait until the basket is 100% dry, remove the bowl, and glue the handle on. These baskets are so cute and are as stiff as wicker. 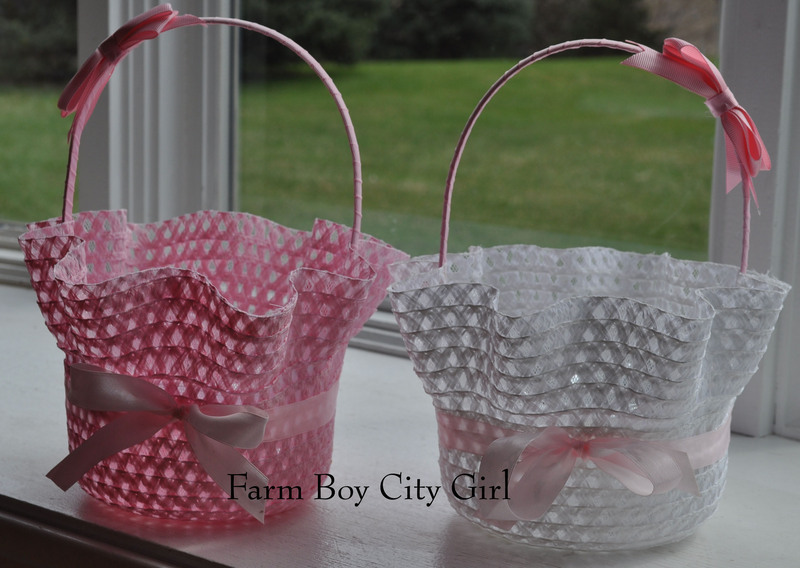 These baskets would also be a great party favor at a tea party. Happy egg hunting! 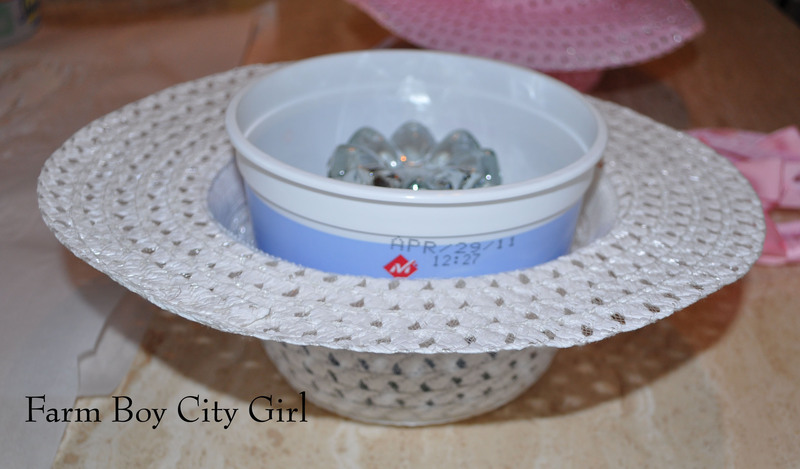 This entry was posted in Crafts, Easter, Holiday Ideas and tagged Basket, bonnet, bonnet to basket, Craft, Easter, Easter bonnet, fabric stiffener, Gift, Headband. Bookmark the permalink. This is a very creative way to make an Easter basket! Thank you! We had fun making them.